Wills is a handsome black and white boy, who, like his namesake, loves to sport his tuxedo. He is elegant and is a great ambassador. 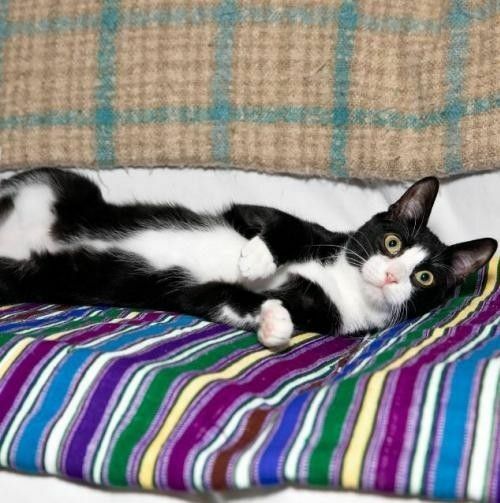 Wills is playful and affectionate and is incredibly at ease with other cats as well as people. He is social and loves attention. This young prince needs to be adopted with a playful companion, such as his brother Hairy.